Robo-signing, or the high-volume production of signed legal documents, has been a key element of the governmental and media foreclosure reviews. Chase's current pullback raises at least the possibility that at least some banks may have documentation problems in other business lines. JPMorgan Chase (JPM) isn't only abandoning efforts to hunt down outstanding credit-card payments -- it's also firing bank employees involved in recovering the debt. American Banker, a daily trade publication that follows the financial industry, says the Chase last year dismissed "numerous regional collections teams." It's not clear why JPMorgan is withdrawing suits against credit-card users. The banking giant won't say. But the move follows several legal rulings in state courts that cast doubt on the validity of banks' credit-card claims. And in a federal whistle-blower complaint filed last year, a former vice president at JPMorgan, who worked on sales of overdue credit-card loans, alleged that bank employees robo-signed paperwork used to seek legal judgments against card users. The executive, Linda Almonte, also said that many JPMorgan account holders owed less on their cards than the company claimed, and that some customers facing legal action had paid their card obligations in full. JPMorgan settled the suit, in which the executive claimed she was fired after alerting the bank that it was missing key legal documents required to sell credit-card debt, last spring after a court refused to dismiss the case. JPMorgan recently has backed off efforts to recover credit-card debt in at least six states, including California, Florida, Illinois, Maryland, New York and Washington, according to American Banker's Jeff Horwitz. As The Wall Street Journal reported last year, the company dropped more than 1,000 lawsuits nationwide aimed at collecting on delinquent loans. One reason -- sloppy or fraudulent documents used to prove that JPMorgan had the right to proceed with the cases. One New York state judge told the WSJ that such practices are more common than in foreclosure cases, describing it as a "significant problem... that's widespread and yet given virtually no attention." While it's not known exactly why JPMorgan is abandoning many credit-card claims, this much seems clear: the bank wouldn't leave money on the table willingly. Tracking down credit-card debt is big business for banks. 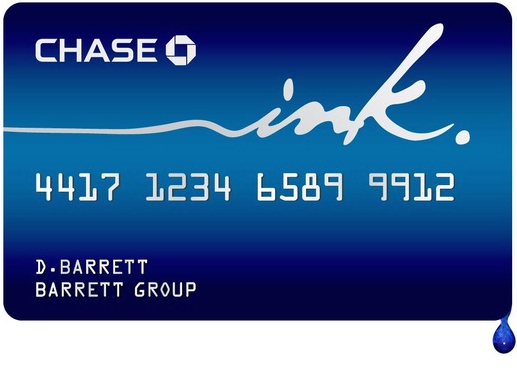 Chase last year recovered $1.4 billion on defaulted credit-card loans, American Banker notes. Going to court to collect the debt is also an excellent bet for banks, with lenders winning more than nine of 10 suits filed against account holders. [I]f Chase is willing to give up anything like $100 million per quarter by effectively shutting down its collections operation, one can't help but suspect that the legal or reputational risk of keeping that operation in place was truly enormous. For now, federal and state authorities have yet to target a major bank for how it collects credit-card debt. But some state legal officials have taken action against other debt collectors. In 2011, Minnesota's attorney general sued one of the nation's largest debt buyers, Midland Funding, and accused the firm of filing fraudulent, robo-signed affidavits used to recoup credit-card debt. In December, Midland's parent company, Encore Capital (ECPG), also settled charges by Texas officials that the company had engaged in robo-signing. Credit card collections may have replicated the robo-signing problems in the mortgage servicing industry. Indeed, given that many of the same players are involved and that credit card debt is sold in ways that is similar to mortgage debt, it would be surprising if the debt collection industry did not have robo-signing problems. I would take the point a step further. If robo-signing, already known to be rampant in foreclosures, is found to be common in credit-card collections, it raises questions about how financial institutions recover all manner of personal debt, including car, student and other loans. It would be a legal nightmare. It also suggests an urgent need for reform -- new rules, expanded consumer protections, tighter enforcement -- of a debt-collection system that is clearly buckling under its own weight.